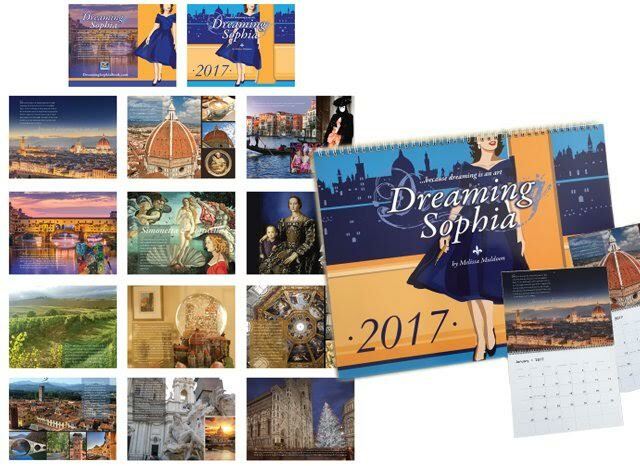 The inspiration for the novel “Dreaming Sophia” comes from my love for Italy and my personal experiences traveling and living in Italy and learning the language. It also originates from a beautiful dress! 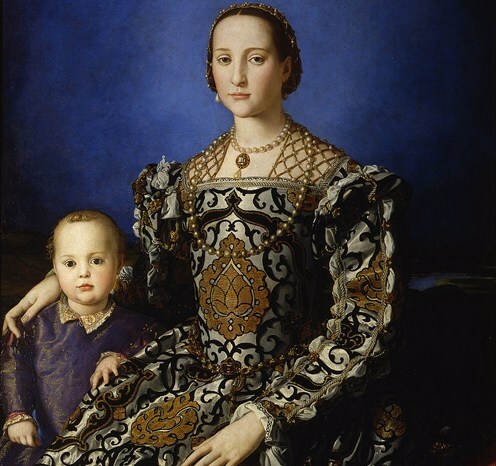 To be more specific the black and white pomegranate patterned brocade dress embroidered with silver and gold thread that Eleonora de’ Medici wears in the portrait of her painted in 1545 by Agostino Bronzino. I have always been fascinated by the Duchess’ image and have imagined what it must have been like to wear such a beautiful gown. Being an artist and art historian, I have also often fantasized about being able to talk with the images in paintings that I have seen in books and museums. What if I could go back in time and talk to the titans of Italian culture: Eleonora de’ Medici, Michelangelo, Leonardo, Simonetta Vespucci, Lucrezia Borgia, Garibaldi and even the Prince himself Lorenzo de’ Medici? If I could have a conversation with them what advice might they give me and what would they tell me about their lives and the times? 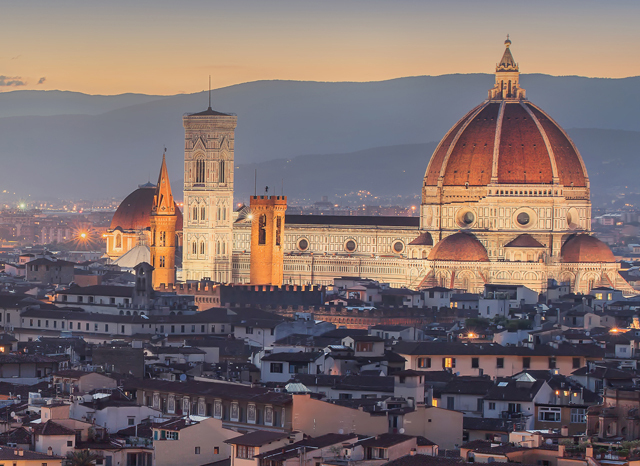 What made you write a book about a young girl who suffers a tragedy, discovers “Italy is the answer” and makes a life for herself in Florence? 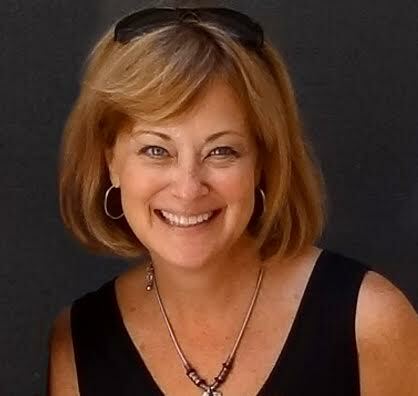 The decision to write a novel seemed to flow naturally from my years of working on the Studentessa Matta blog – a dual Italian and English language blog I write in Italian and English. I wanted to try my hand at fiction and was greatly inspired by several published women author friends. 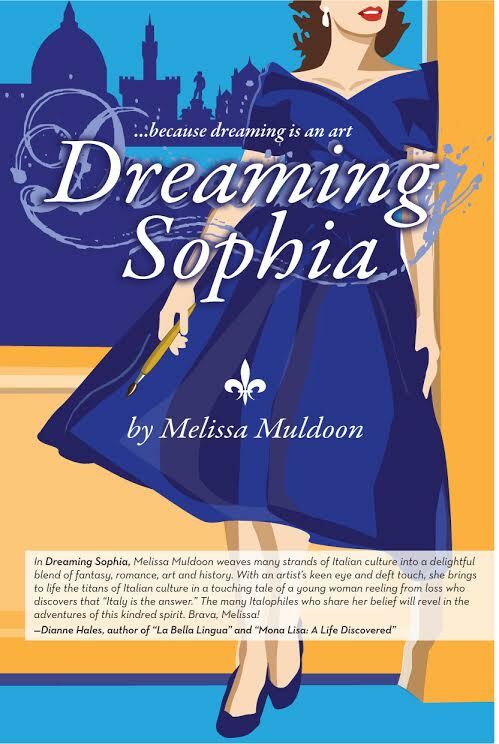 When I sat down to develop a plot for a book, I tossed around several ideas, but as I glanced up at a picture of Eleonora de’ Medici painted by the Renaissance artist Bronzino pinned to my idea board next to my computer, the original draft of Dreaming Sophia began to flow out of me. I was a little surprised at first by the direction the story took right from the beginning and was immediately captivated by the characters of Sophia and her mother. As I continued to write and began developing the conversations between Sophia her Italian muses—Eleonora de Medici and then her encounters with Leonardo and Michelangelo and Prince Lorenzo I was thoroughly hooked. I wanted to continue exploring the theme of a young girl rising out of tragedy, learning how to cope with her grief who eventually finds the confidence to create a new life and artistic career for herself in Italy. I also wanted to tie in the many personalities from Italian art and history and have my character “meet” them through her daydreams. Although the story begins with tragedy, ultimately it ends joyfully. It is about falling in love with one’s self and finding inner confidence, as well as falling in love with a country and its culture. Is this book based on fantasy or on reality? “Dreaming Sophia” is based on contemporary reality. But there are elements of fantasy and at times a blending of fact with fiction. An important aspect of the book was to explore the reality of living in Italy, its customs, language and current events. But, being somewhat of an imaginative daydreamer myself I also wanted to tell a story in which my character Sophia could talk to famous Italian personalities from past eras—the titans of Italian history and culture—through her creative thought processes. Originally I thought about calling the book “Sognare ad occhi aperti”. In Italian, this means to daydream. 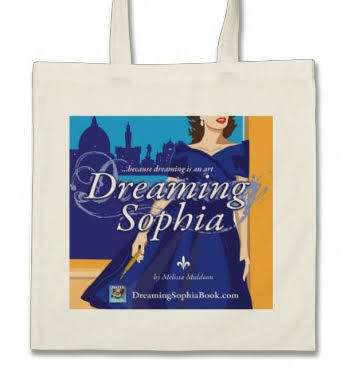 So even though there are fanciful sequences, Sophia’s dreams are very real to her. They are a way for her to process the information she has heard previously from her parents and her teachers. As she heals and grows stronger, she can accept the “advice” and the “gifts” each Muse gives to her, to move on with her life and make positive changes and turn her dreams into reality. How did you decide upon your character’s name “Sophia”? In the original draft of the story, the character’s name was Isabella. I wanted her nickname to be “Bella”. I also was playing around with a tie into Isabella Rossellini, the daughter of Ingrid Bergman and the Italian movie director Roberto Rossellini. As I started writing, however, after reading Sophia Loren’s autobiography, I found myself captivated by events in La Loren’s life. It also seemed fitting the mother in the story should name her daughter after the famous Italian movie diva, someone she would have idolized and adored. 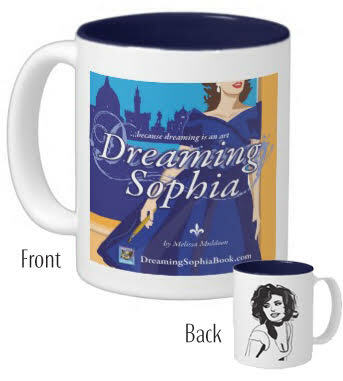 So, Sophia Loren not only inspires the name of my character, but she also becomes a metaphor for Italy in my characters daydreams. Just a little note. I also kept Sophia’s nickname “Bella”. It is an endearment that her father calls her and characterizes her perpetual lateness—being a daydreamer, she always has her head in the clouds and runs on “Bella Time”. In your book, you state: Dreams become reality. How did you come up with this? I have always believed that it is possible to turn dreams into reality. But there is a process, and things don’t happen overnight by magic. First, you must envision whatever you desire vividly, imagining it from every angle and seeing yourself doing whatever it is that you are hoping will transpire. The next step is to state out loud that “thing” that you are envisioning and want to happen. In this way, the universe conspires to help you reach your goal. Once you express your dream, people start to assist you through their networks and support. Once “it” is out there in the open, it becomes a tangible goal, and you are more likely to take steps every day to achieve it. But nothing happens without steady hard work. This is true, whether you dream of learning a language, traveling the world or writing a novel. I have turned several dreams into reality. I envisioned my design career and started a successful company. Several years ago I also made up my mind to learn Italian and I did. 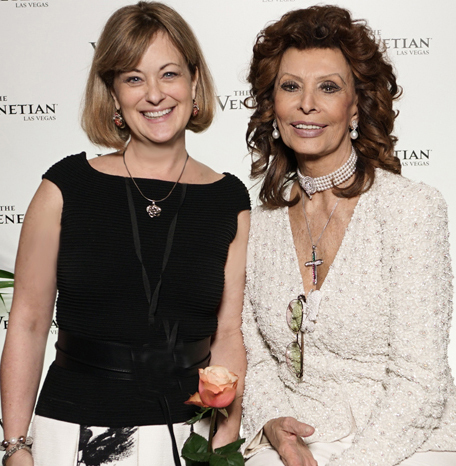 More recently, my dream of meeting Sophia Loren became a reality. Because of writing this book Dreaming Sophia I had the opportunity to meet Miss Loren after her one-woman show in Las Vegas last March. I was able to kiss her on both cheeks in the proper Italian fashion and tell her about my novel. What a thrill it was to see her smile at me and say to me: I believe in dreams, dreams become reality. Next articleGiveaway: Win Up To 25+ Romance eBooks!